Although smart home appliances have their own apps which can do this stuff, the percentage of people with out smart appliances is very high. So, I think this app targets those people who cannot afford or have privacy concerns with smart appliances. 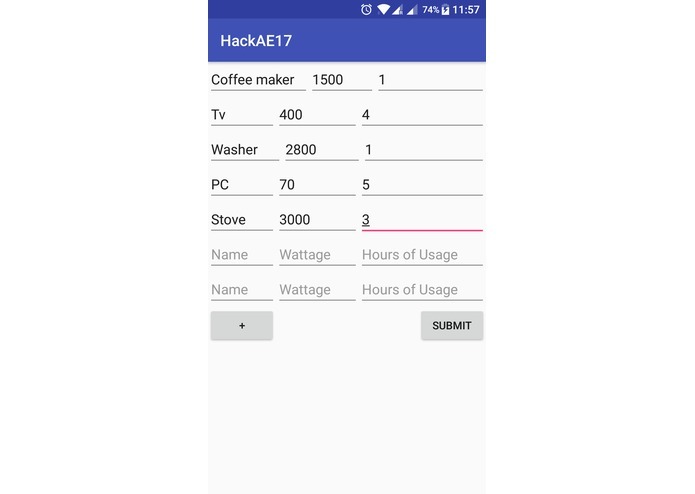 This Androd app allows users to estimate daily/monthly/annual* energy usage for each appliance. Estimating energy usage can be very useful in getting some knowledge on how much we are spending on each of the appliances(roughly). Now, there are several ways to estimate the number of hours per day an appliance runs. Either estimate it roughly or keep a log for few days. For example, we can record each time we use oven to bake something or television etc..
To find the wattage of the product, we can either look at the stamped paper on the bottom or back of the product. Or, we can look it up online. When the user is done entering the information, user can tap submit button. Consider a Coffee machine that runs several times in a day , for about 1 hour in total. 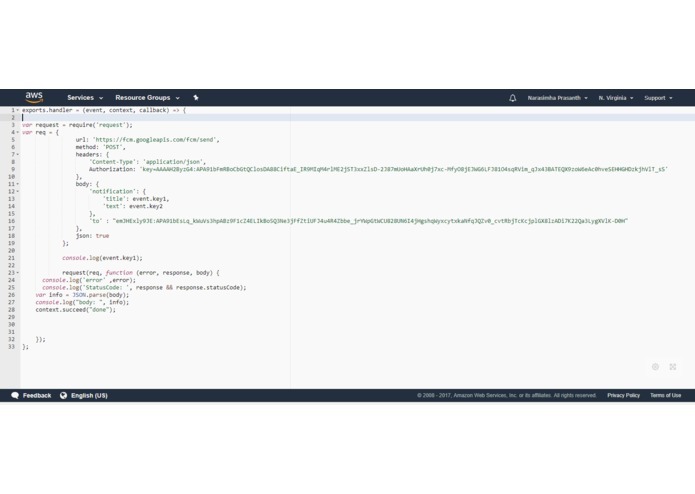 I have used aws lambda to send occasional push notifications on how to save energy efficiently.